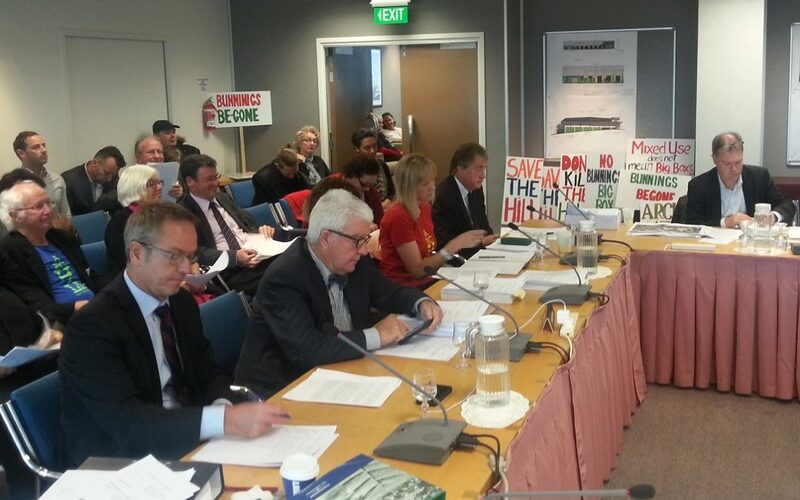 There was a big turnout by Arch Hill residents at the Bunnings hearing today with strong evidence presented outlining serious concerns with the developement, and in support of the application being declined. 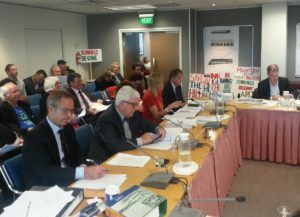 Shale Chambers, on behalf of the Waitemata Local Board and Cr Mike Lee presented as witnesses for the Arch Hill Residents Group. “It delivers a non-complying low rise vehicle -focused big box retail complex, providing limited employment, but at the expense of other nearby businesses, incongruous with its surrounding environment, disturbing the peace through traffic movements and noise of the surrounding special character streets, and setting back Auckland’s objectives to intensify this section of Great North Road for a mixed use development benefiting everyone by decades.” – Shale Chambers, Chair Waitemata Local Board in his submission. C Lee’s submission focussed on transport and the impacts of heavy trucks, service vehicles and customer vehicles crossing the Great North Road bus lanes on which, with the introduction of new frequent services, will mean buses transiting every 4 minutes 24 seconds.